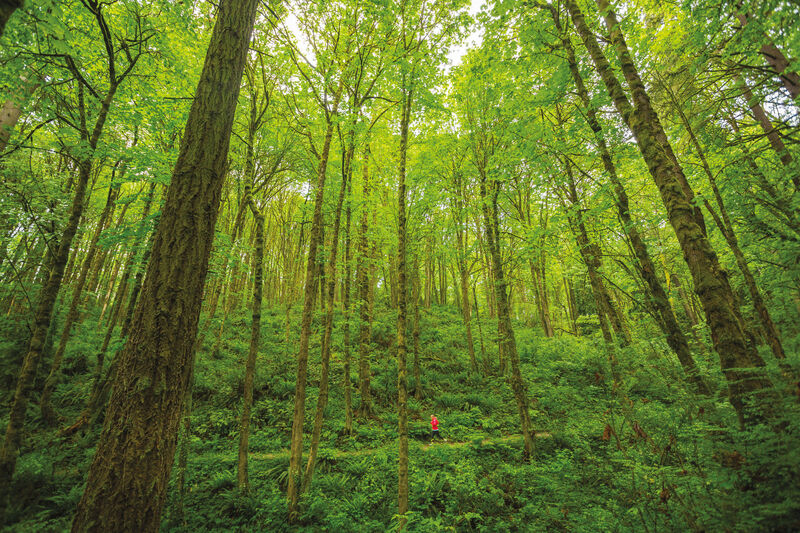 Set in a lush canyon alongside cool Balch Creek, the largest stream in Forest Park, Lower Macleay Trail is an explosion of licorice ferns, leafy salal, moss-jacketed hemlocks, and a 242-foot, jade-crowned giant—the country’s tallest fir within a city. Scope out the creek’s population of native cutthroat trout, then explore the 1936 “Stone House” at the trail’s fork with the iconic Wildwood Trail. This commuter superhighway between Portland and Boring isn’t just for the spandex species. The well-groomed path also provides frequent encounters with woodpeckers, geese, and deer. 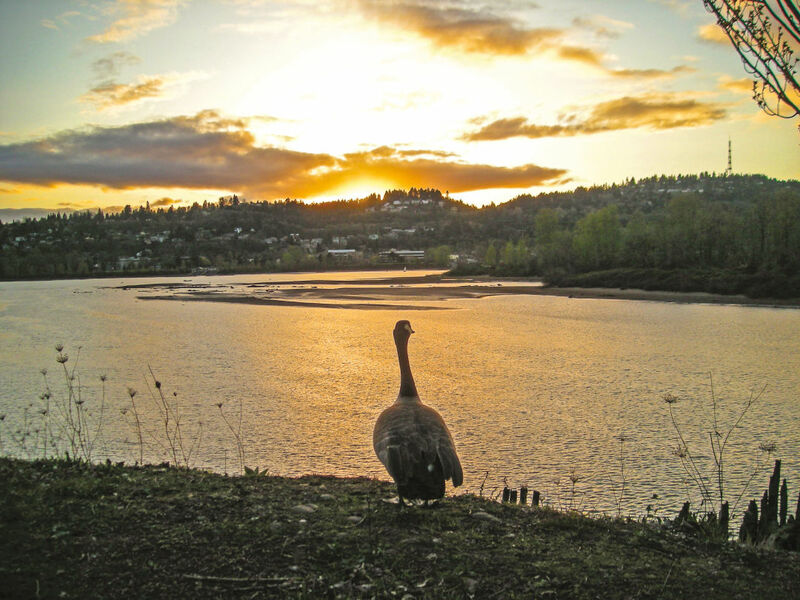 In fact, the trail (a former railroad route) intersects with several distinct habitats as it plays leapfrog with Johnson Creek, crossing the water more than 10 times. In the low-lying wetlands of Oaks Bottom, watch for the Rose City’s official bird, the great blue heron. This wildly popular hike packs some serious wow factor into a relatively short distance. 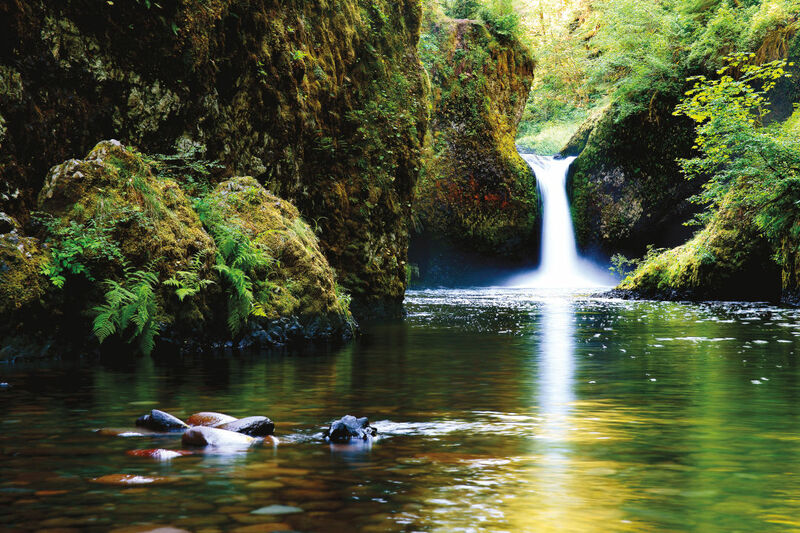 Whether you decide to end at Punch Bowl Falls, continue to High Bridge, or trek all the way to Tunnel Falls, the sound of the trail’s namesake creek coursing toward the Columbia is a constant companion. Equally stirring: sections of trail that are little more than ledges, prompting the Forest Service to bolt handrails into the rock. Springtime brings an explosion of wildflowers to Dog Mountain. 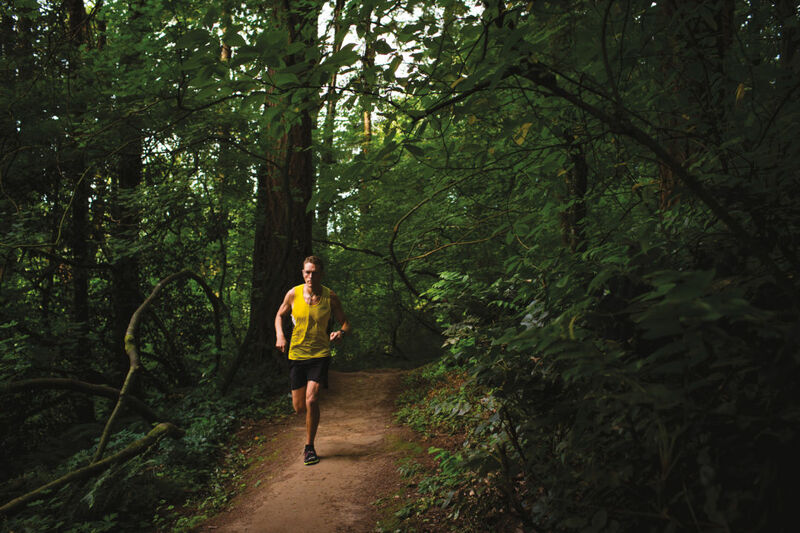 This popular Washington trail offers fantastic views of the Gorge and surrounding Cascadian peaks. 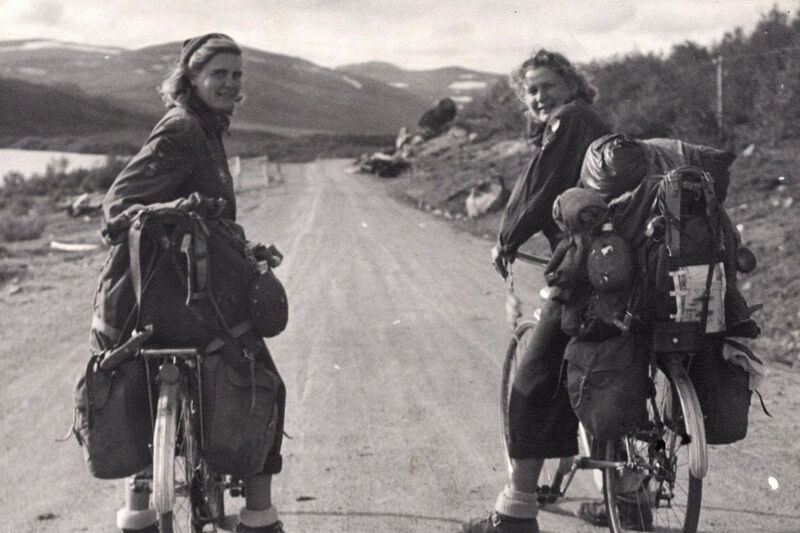 You’ll work for it: The entire way up is steep, beginning with a 700-foot climb of no fewer than 10 switchbacks. Two forks both take hard-breathing hikers to the summit: in springtime, a riot of lupine, balsamroot, larkspur, and paintbrush. In other seasons, it’s enough to (finally) be on top of the world. Had you biked or hiked this stretch of trail two decades ago, you’d have dead-ended in a pile of rubble after a mere two miles. But in July 2000, the cleared Mosier Twin Tunnels section reopened as a paved, gently graded, car-free oasis, attracting all forms of human-powered locomotion: hikers, bikers, parents with jogging strollers, in-line skaters, and even downhill skateboarders. It’s a perfect trail for families with kids of varying ages and speeds. 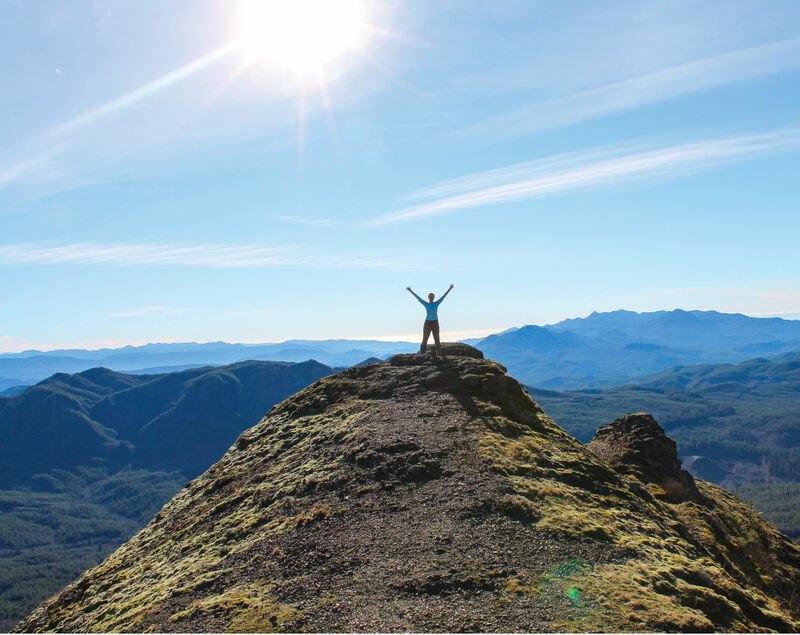 Conquer the arduous path to the 3,283-foot summit of Saddle Mountain, and you’ll bag the highest peak in the northern Coast Range. Cloud-free days bring a bonus: uninterrupted views of the Oregon and Washington coastlines, as well as Mounts Rainier and St. Helens. 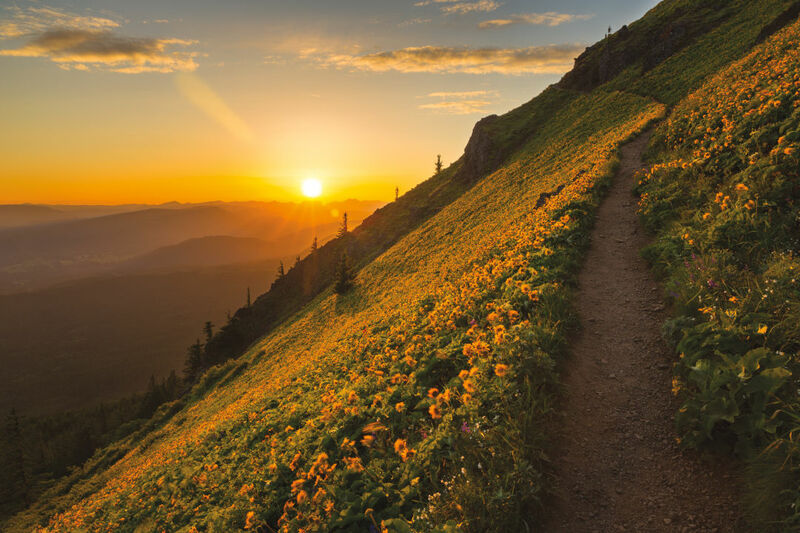 But even if you don’t hit the trail under a bluebird sky, the company of white-barked red alders and rare ice age–era plants such as Saddle Mountain saxifrage and bittercress provide plenty of inspiration to reach the top. The Timberline Trail circumnavigates Mt Hood. 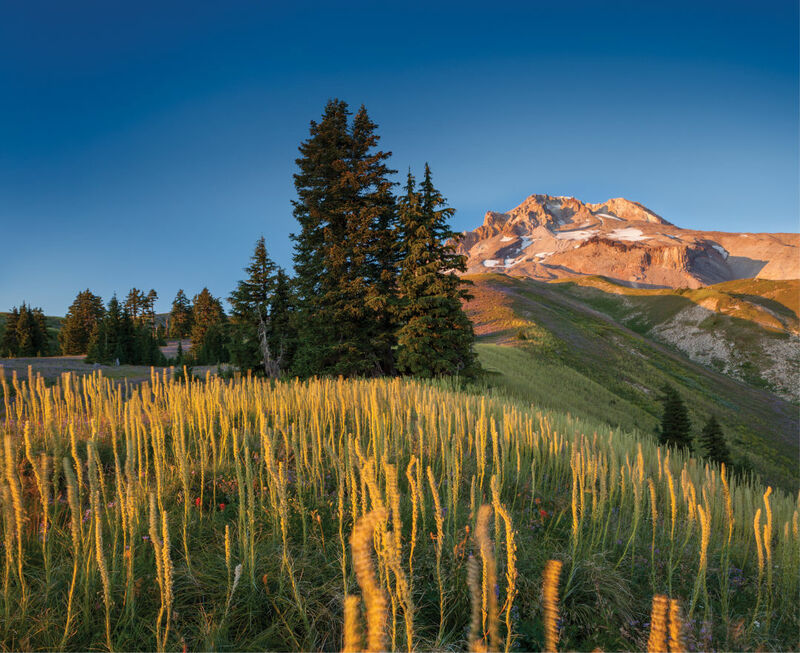 Built in the 1930s, the iconic Timberline Trail—a rite of passage for Oregon hikers—circumnavigates Hood’s rugged, 11,240-foot peak. Ford the gurgling Newton, Sandy, and White Rivers. Tramp through thick old-growth cathedrals of Douglas fir toward mesmerizing cascades like Ramona Falls. Absorb colossal vistas from Cooper Spur’s barren pumice plane. And at Elk Cove, gawk at one of the West’s best wildflower displays: western pasque, witch’s hair lichen, Indian paintbrush, trillium, lupine, and evergreen huckleberry. 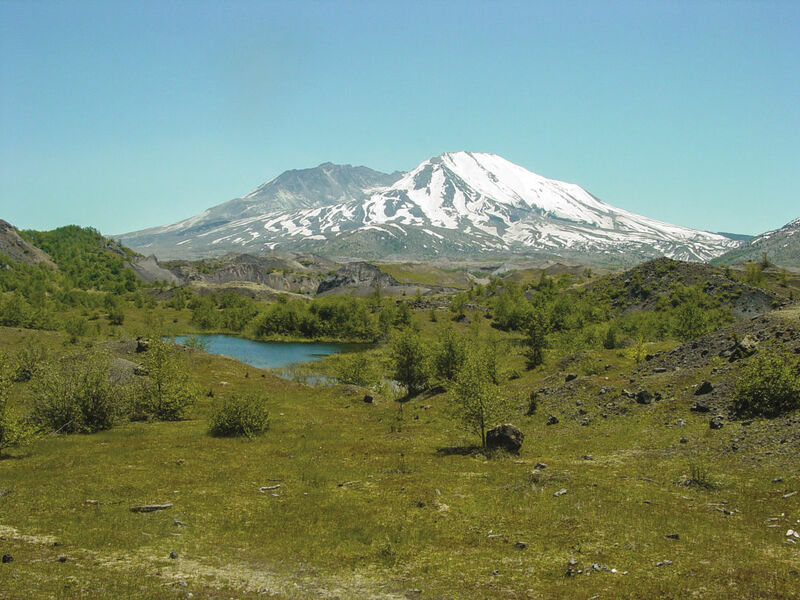 This family-friendly 2.4-mile loop is defined by a sequence of hummocks—huge chunks of the Washington volcano’s former peak blasted sideways and deposited on the valley floor after its famed 1980 eruption. The trail winds through this Badlands-esque landscape, flanks the Toutle River Canyon, then swings toward a cluster of wetland ponds, where the canopy of an alder forest provides a shady spot from which to spy on a huge beaver dam. 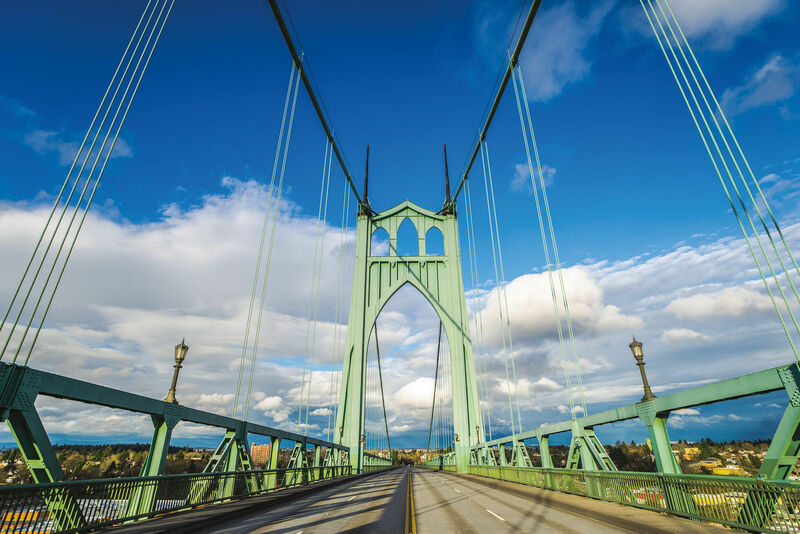 Timber-laden locomotives once roared along this 21-mile stretch west of Hillsboro, but today it’s all yours for the cruising. 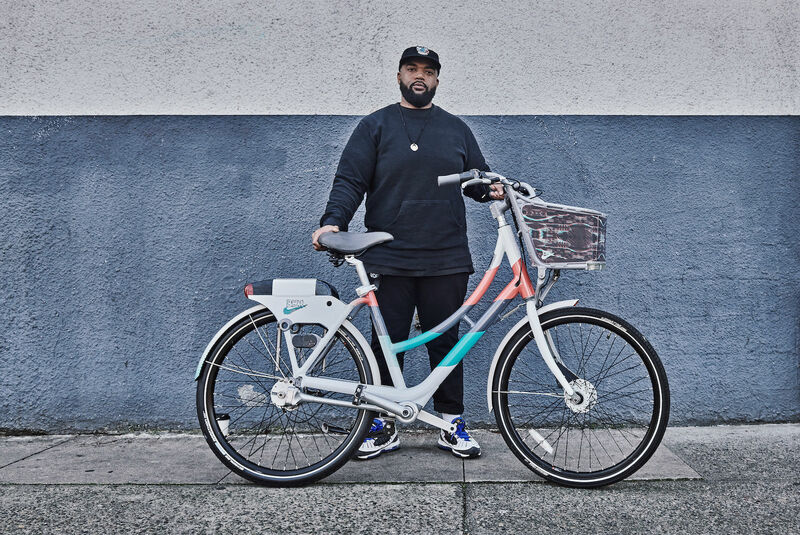 The gently graded, paved trail links the rural towns of Banks and Vernonia, and its multiple access points allow families to tailor rides to just about any distance. One highlight: the sweeping view from the top of the Buxton Trestle—an 80-foot-high structure a few miles outside of Banks.